One of the greatest noble rot wine, Sauternes. Tempting syrupy flavor is graceful and sweet that is likely to melt any square person's hearts. Honey and tropical fruits aromas are well balanced with accidity and its harmony takes our breath away. 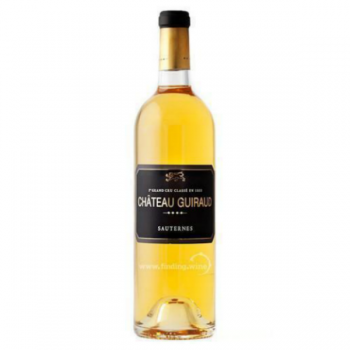 This wine is the Second label of Chateau Guiraud, the 1er GrandCru Class of Sauternes. The difference between the First label is only the age of a tree and oak aging period, and the structure is the completely same as First. It is grateful to have a presence of daily use noble rot wine.